It’s that time of year again when our illustrious Turnbuckle Radio hosts Trevor Robb and Brian Swane return to break down the biggest show of the year: Wrestlemania! 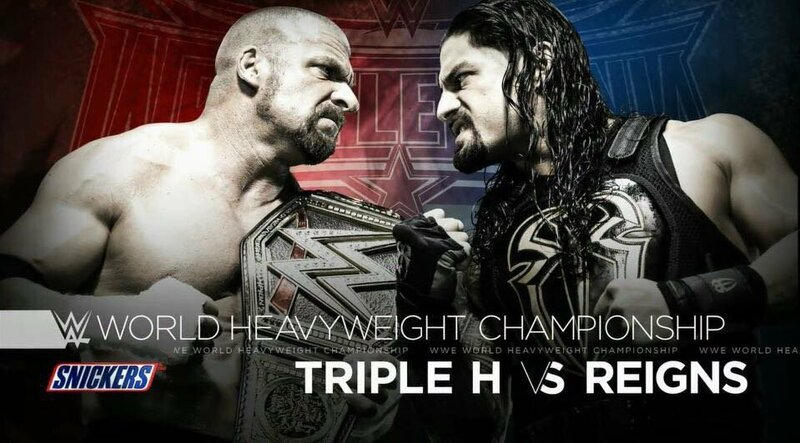 Featuring a few matches with potentially huge implications, including HHH vs Roman Reigns for the WWE World Heavyweight Championship and Shane McMahon vs The Undertaker, in which if Shane wins he gets control of the Monday Night Raw and if the Deadman losses he will have wrestled his last match. But before we get into that, check out an exclusive 12 minute interview with the Ring of Honor Champion Jay Lethal, who stopped by Edmonton last week to wrestle Lance Storm at the Prairie Wrestling Alliance (PWA) 15th Anniversary show in downtown Edmonton. Lots to get to so check it out! Tags: 780 Sports, Bray Wyatt, Brock Lesnar, Daniel Bryan, Edmonton, Professional wrestling, Seth Rollins, Triple H, Turnbuckle Radio, World Wrestling Federation, Wrestlemania, WWE Raw, WWE SmackDown. Bookmark the permalink.